In the past few months I've felt just a bit 'ugh' when it comes to the choice of outfits I wear on a day to day basis. With a lovely rapidly growing tummy I'm starting to find that my go-to dresses now look like tops and my usual skinny jeans are things of distant memories! In all honesty, I've been pretty disappointed with the range available for mums-to-be. I've spent a few hours searching for suitable bump wear found that a lot of the maternity clothes either are way too plain mummsy for my liking or, at the other end of the scale, too figure hugging- I didn't wear bodycon dresses before now and I'm not about to start now! Last week I finally decided to let the purse strings loose a little and order myself a few much needed bits from Toyshop's maternity range. Ocean Finance kindly offered to gift me £50 to put towards a day of relaxing too so, this weekend I put the money towards a haircut and some shoes! Okay, okay its not the most out-there outfit going but my god this combo is comfy. 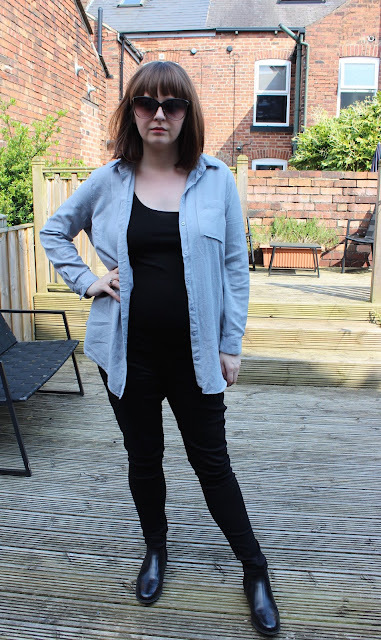 I'm wearing Over-the-bump maternity jeans here from Topshop, Joni (£38) to be precise. 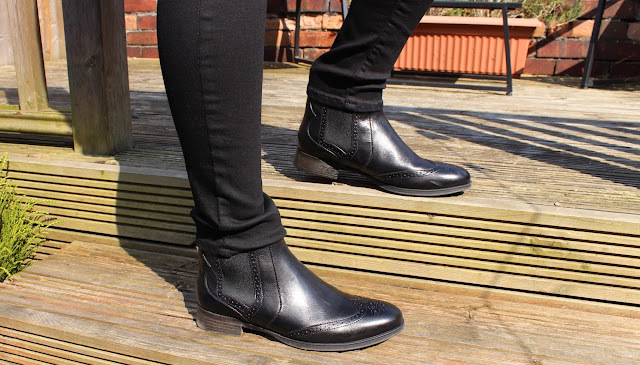 Pre-pregnancy,Joni's were my go-to jeans so I was happy to see they also cater for my current shape. The waistband on these is a thing of comfort; as the name suggests they go right over your bump to provide bump support and an added bit of material should you still want to wear your non preggo tops. I teamed the jeans with a plain black vest top (£6) from RiverIsland; again, comfy and really useful item to have in your maternity wardrobe. 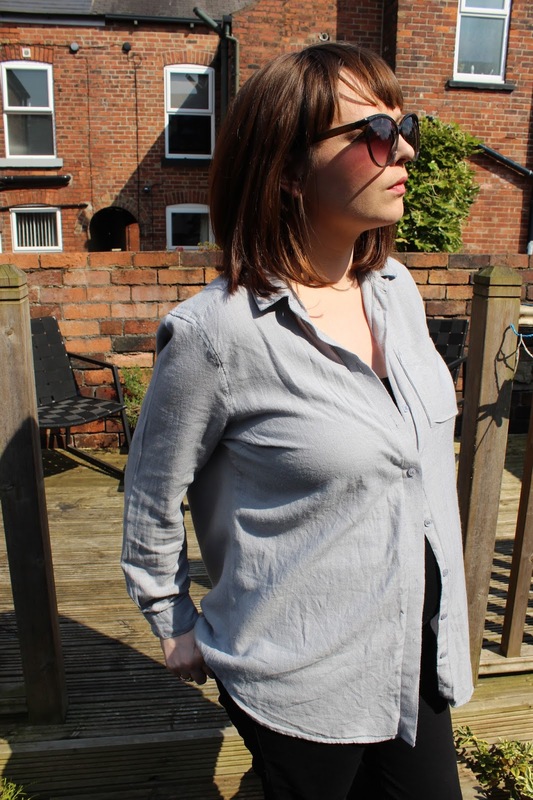 Next up is this Chambray Grey Shirt (£29) I've worn this a fair few times since it arrived- its comfy, can be styled smart or casual and is made of a nice soft flattering cotton. 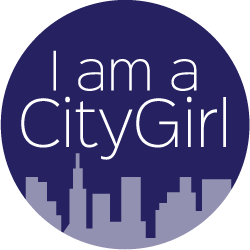 It also comes in a baby blue shade too. Next up are the lovely Chelsea boots I picked up from Clarks last week- I bagged a bargain with these- meant to be £80 and I picked up the last sale pair for £40! Although they are now sold out on the Clarks website you can pick them up from Debenhams for an even lower price now.. £24! Love having a fresh haircut.. makes me feel refreshed and so much more presentable. I visited my fave hairdresser here in Sheffield, Parachute on Hickmott Road. 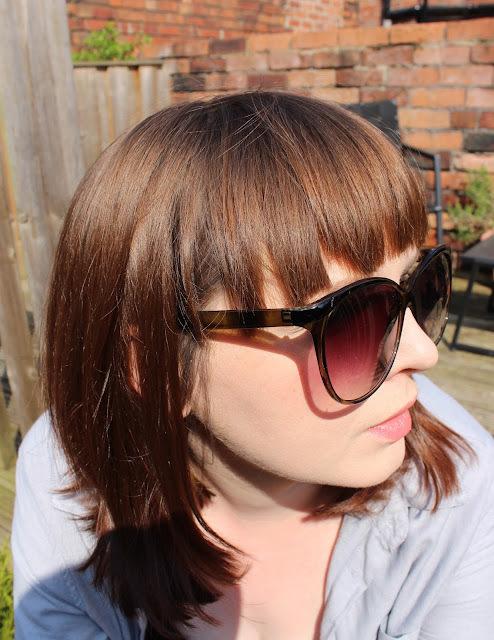 I decided to go for my usual.. a short bob with full fringe. 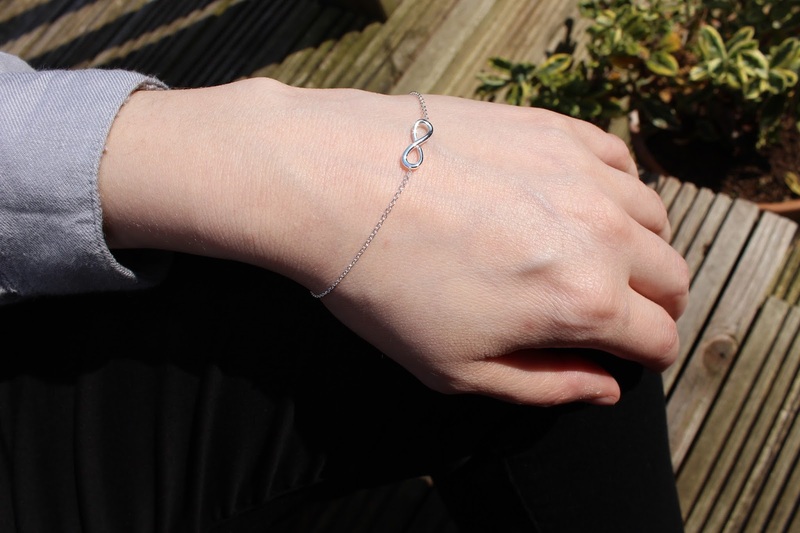 Lastly, I added this cute little infinity bracelet to the outfit; this was sent to me by Jewellery Box- another post to come on this soon. Can you point me in the direction of any nice maternity outfits? **Disclaimer- Ocean Finance kindly sent me £50 to spend on a day of relaxing. I decided to pay for my haircut and put the remainder towards my boots.